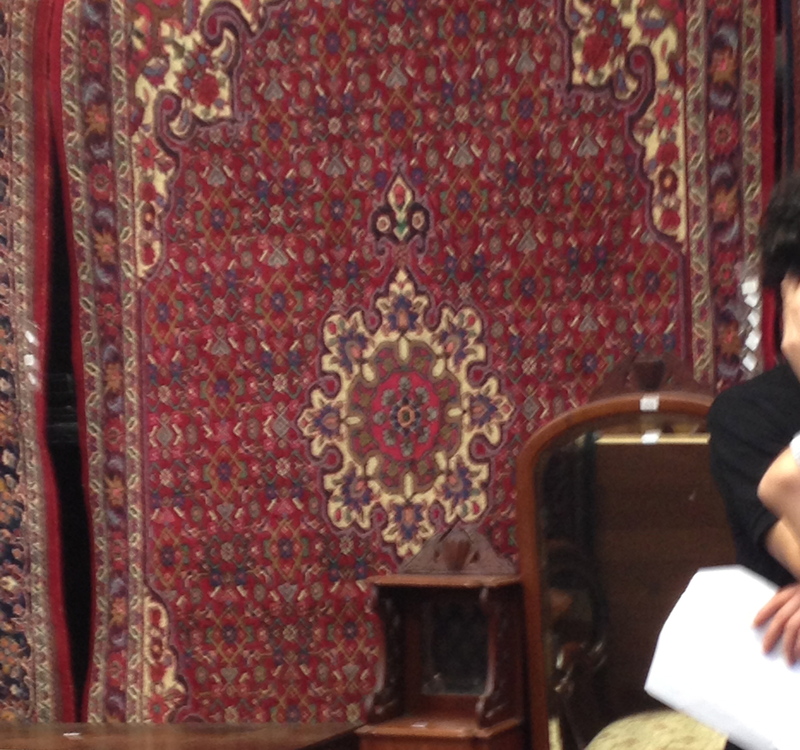 A Persian Bidjar carpet with Medallion and Pendants according to the auction description and certificate. Today I spent the day at Lawsons endeavouring to pick up a few more items. From the online catalogue I was particularly interested in chests of drawers, wardrobes and rugs. I haven’t been to a mid week auction before and it appeared to attract mainly dealers with a smattering of private buyers. The internet must make a big difference to the auction houses as they can now publish the catalogue (with photos) online prior and take a significant amount of absentee, online and phone bids from people who can’t make the auction. It’s good to see the care taken to place these bids as a standard part of the procedure and the prompt follow up. It makes me feel comfortable in placing online/absentee bids. There was a huge variation in bidding – many items were passed in, a few real bargains – I kicked myself over a Victorian mahogany chiffonier that went for $200. It’s hard to assess size on the internet and some of the chests of drawers were too big, some in poor condition, but the one I loved was unfortunately also loved by others. I didn’t get a bid in as it quickly went for more than double the estimate, which made it quite expensive. The wardrobes were all far too big for my needs. My arts and crafts mirror with hanging hooks – an informal addition for the back entrance. This auction had quite a few Persian rugs on which I am no expert, but know I need rugs and this style will suit the Convent. There were two I really liked but both went for much more than the estimates. However I was really pleased with the one I bought for $425 which came with a valuation/insurance certificate of $2,250 . 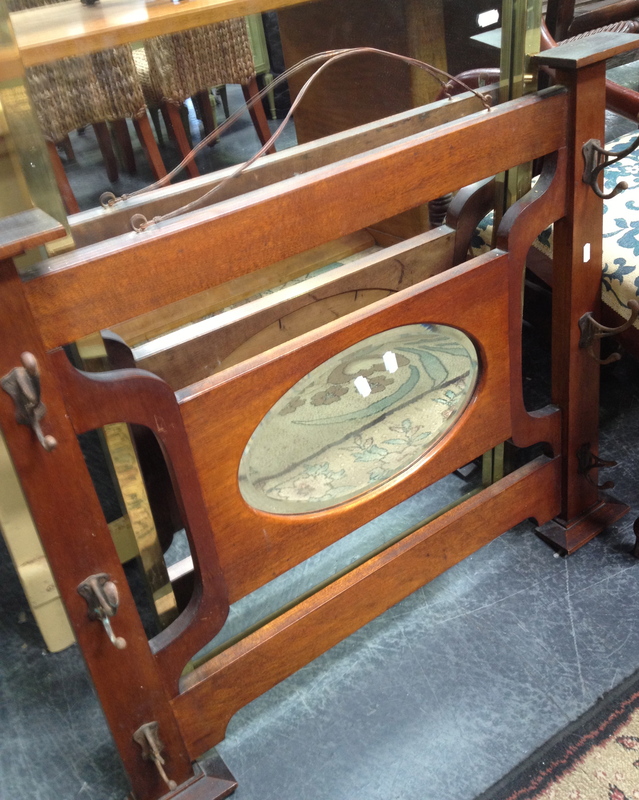 It’s in excellent condition and could go in a number of rooms. It’s also a good size. 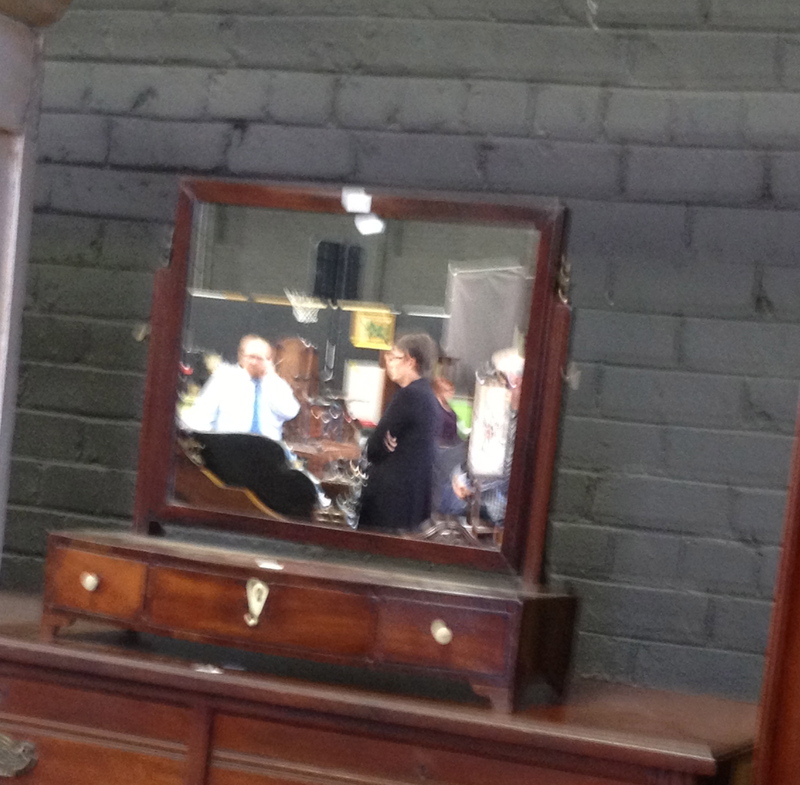 Another purchase was an arts and crafts period oak framed mirror with hanging hooks that will be perfectly at home at the back entrance, that I snapped up early at $70 to the auctioneer’s comment that it may well have been the bargain of the day. The other was a beautiful late Georgian mahogany bowfronted mirror with drawers. This would look wonderful sitting on a chest of drawers – I just need to be able to buy one! Mahogany mirror with drawers. I now just need the chest of drawers for it to sit on.